Warning: This article contains content some readers might find upsetting. The article also contains potential plot spoilers. I finally managed to get around to reading A Dance with Dragons, the fifth book in the Game of Thrones series. For those not familiar with the books, the character of Theon Greyjoy is captured and tortured, badly, by Ramsay Snow (later Ramsay Bolton). My name. A scream caught in his throat. They had taught him his name, they had, they had, but it had been so long that he’d forgotten. If I say it wrong, he’ll take another finger, or worse, he’ll … he’ll … He would not think about that, he could not think about that. On 28 different occasions, he uses rhyming words in order to remind himself of who he must be, so he does not forget and thus get punished. What is interesting, is the choice of rhyming words he uses, all of which reinforce a narrative of dehumanisation: freak, wreak, weak, bleak, shriek, cheek, leak, meek, leek and squeak. Lord Ramsay would never simply cut off a man’s finger. He preferred to flay it and let the exposed flesh dry and crack and fester. Reek had been whipped and racked and cut, but there was no pain half so excruciating as the pain that followed flaying. It was the sort of pain that drove men mad, and it could not be endured for long. Soon or late the victim would scream, “Please, no more, no more, stop it hurting, cut it off,” and Lord Ramsay would oblige. Thus the torturer no longer remains the cause of the harm, but develops an almost ‘omnipotent’ status, where he becomes the cure as well – the victim/survivor become thankful for ending the pain. “With your mouth,” Lord Ramsay said. In this moment Reek is not sure whether this is a test set for him by his master. His internal alarm system is activated as he worries that fulfilling an inappropriate command will lead to further suffering for him. He starts to deploy rhyming sequences in order to remember that he must call the new bride ‘Arya Stark’, rather than by her former name of Jeyne. He does this by reminding himself that ‘Jeyne’ rhymes with ‘pain’ – once again falling back on strategies that assist him to avoid bringing further harm on himself. It was silly, but if you get scared you are not you anymore. You very much become a child again. You can tell I was hurt like never before; it wasn’t me anymore, and I could never be the same as before. A thick line was drawn between my past and my future with the first hit. The process of torture became more severe as the CIA opted for harsher interrogation, particularly in relation to water-boarding, used a tool to coerce information, even where there was little chance of actionable intelligence. At approximately 6:20 PM, Abu Zubaydah was waterboarded for the first time. Over a two-and-a- half-hour period, Abu Zubaydah coughed, vomited, and had “involuntary spasms of the torso and extremities” during waterboarding. Detention site personnel noted that “throughout the process [Abu Zubaydah] was asked and given the opportunity to respond to questions about threats” to the United States, but Abu Zubaydah continued to maintain that he did not have any additional information to provide. 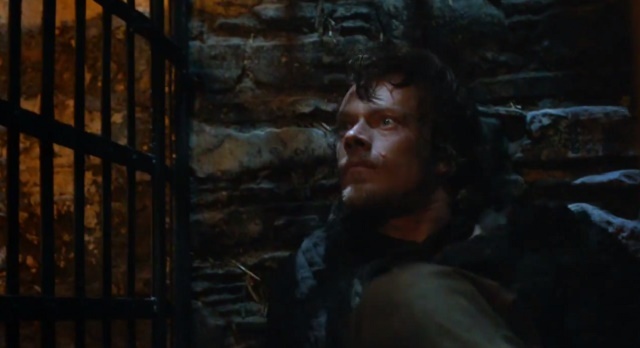 Ramsay Bolton’s torture of Theon Greyjoy produced the persona of Reek, a character so completely destroyed by his torture, that he was not only left without any autonomy, but would actively put himself at risk in the hope that he would be able to avoid further harm. The degree to which Abu Zubaydah’s autonomy had been destroyed – so much so that he would voluntarily lie down on the waterboarding table – is indicative of the degree to which the programme of coercive control and learned helplessness was successful. It also makes it beyond inhuman. George RR Martin’s description of Theon Greyjoy’s metamorphosis into Reek is all too resonant in the ‘War on Terror’ age. Martin presents Ramsay Bolton as a monster but, in fact, the ‘coercive control’ he exhibits is all too real. Judith Herman teaches us that for abusers, whether they were torturers holding political detainees, or abusive husbands beating their wives, the methods of coercive control remain the same. Torture is effective in its ultimate goal; which is not intelligence gathering but, rather, to destroy the individual and to reconstitute them into the image the torturer desires.